Mr Andrew was Chairman and CEO, KPMG International from May 2011 to July 2014. He is the first Australian CEO of one of the “big four” accounting firms and the first to be based in the Asia-Pacific region. A partner in KPMG since 1988, Michael practiced in Tax Law and was Partner in Charge of KPMG Tax Practice 1995-2000 and was Partner in Charge of KPMG International Tax Centre in Amsterdam from 1992-1994. Michael was Chairman of KPMG Asia-Pacific and Chairman, KPMG Australia from 2007 until 2011. Mr Andrew was the Chair of the Australian B20 Working Group on Anti-Corruption and Transparency and its Global CEO Forum. Mr Andrew has a degree in Law and Commerce from Melbourne University. He is a qualified Barrister and Solicitor of the Supreme Court of Victoria and Fellow of the Institute of Chartered Accountants. He was recently awarded an Honorary Doctor of Laws by Monash University and an Honorary Doctor of Commerce by Melbourne University. Mr Andrew was appointed Chairman to the Board of Taxation in January 2015 and his term renewed for a further two years commencing 1 January 2018. Mr Andrew was appointed Chairman to the Black Economy Taskforce in December 2016 with the Taskforce to provide a final report to Government in October 2017. Karen Payne, CTA, was appointed as the inaugural Chief Executive Officer of the Board of Taxation, effective 31 March 2016. She is also a Member of the Board of Taxation, appointed in May 2015. She chaired the Board’s working group that advised on the implementation of the OECD hybrid mismatch rules – both generally and specifically in relation to regulatory capital. Karen was a member of the Board of Taxation advisory panel and assisted with the reviews of tax arrangements for managed investment trusts, venture capital limited partnerships, collective investment vehicles , the investment manager regime and the arm’s-length debt test. Karen was previously a Partner at Minter Ellison focusing on international and corporate taxes for the financial services industry, and mining, energy and utilities sectors. Karen has assisted domestic and international corporates and funds (equity, infrastructure, property, private equity and venture capital) with advice on structure, M&A and taxation due diligence. Mrs Garnon has over 30 years of experience in the field of taxation having been a senior partner with KPMG. She was admitted as a tax partner in 2000 and went on to hold senior executive roles with the firm. 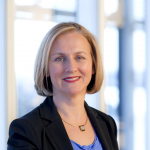 From 2009 to 2015, Mrs Garnon was the National Managing Partner for KPMG Australia’s Taxation Division. During this time, she was also a member of KPMG’s Global Tax Steering Group which oversees KPMG’s Global Tax Practice. Previously, Mrs Garnon was the Global Partner in Charge (2006 – 2010) of KPMG’s International Executive Services Business spanning 128 countries and 2,500 staff. She has extensive experience of advising both domestic and global organisations. Mrs Garnon’s background includes Bachelor of Economics (Accounting Major) and Bachelor of Laws from the Australian National University. She is a Fellow of Chartered Accountants in Australia and New Zealand, a Chartered Tax Advisor and a Graduate of the Australian Institute of Company Directors. She is also a member of Chief Executive Women. Other current roles: Chair of Alexium International Group Limited; Non-Executive Director and Chair of the Audit and Risk Committee for Creative Partnerships Australia; Non-Executive Director and Treasurer of Women Corporate Directors Australia; Member of the Major Performing Arts Panel of the Australia Council for the Arts, a Non-Executive Director of the Smith Family, and a Non-Executive Director of Australian Rail and Track Corporation. Mrs Garnon was appointed to the board for a three year term commencing 1 January 2018. Dr Julianne Jaques is a commercial barrister specialising in taxation and has over 25 years’ experience as a taxation professional. She maintains chambers in both Melbourne and Sydney and has appeared in all higher Federal, Victorian and New South Wales courts. Dr Jaques is a Chartered Accountant and a Chartered Tax Adviser. She holds bachelor degrees in economics and law from Monash University and a Doctorate in Juridical Science from the University of Melbourne. Her doctoral thesis was on corporate taxation. Formerly a solicitor with Freehills (now Herbert Smith Freehills) and an accountant with Coopers & Lybrand (now PricewaterhouseCoopers), Dr Jaques was also a senior tax adviser to the Federal Government during the GST and business tax reforms of 1999 to 2001 when she worked extensively on tax policy. Dr Jaques is co-chair of the Tax Institute’s Victorian Professional Development Committee and a Victorian State Councillor of the Tax Institute. She is also a part-time member of the Independent Parliamentary Expenses Authority and the Tax Practitioners Board. Dr Jaques was appointed to the Board from 1 July 2017. Mr Mitchell is a qualified Chartered Accountant with 27 years of experience (until March 2017) as Chief Financial Officer and Company Secretary of ASX-listed Cochlear Limited, a world leading medical device developer, manufacturer and seller, with a market capitalisation of over $10bn. Mr Mitchell is currently a non-executive director of ASX-listed Fisher & Paykel Healthcare, Sonic Healthcare and Osprey Medical, as well as privately owned Australian life sciences company, Q’Biotics Group. He is also a member of the Australian Board of Taxation and a director of the South East Sydney Local Health District Board. Previously, he served on the New South Wales Medical Devices Fund, was Chairman of the Group of 100 (an Australian body for senior finance executives), and Chairman, Standing Committee (Accounting and Auditing), for the Australian Securities and Investments Commission (ASIC). Dr Pizzacalla is Partner-in-Charge of the Business Services practice of BDO in Melbourne, and is integrally involved in the firm’s Tax and Advisory practice. Dr Pizzacalla’s business experience, including acting as Managing Partner of his predecessor firm, gives him a strong appreciation of both the strategic and operational issues facing business and provides relevance to the technical tax advice he delivers. Dr Pizzacalla completed his PhD in relation to the taxation of SMEs in Australia and is one of the few tax practitioners whose work has been cited in Australia’s Parliament. Dr Pizzacalla is a member of The Tax Institute’s Victorian Technical Committee, and was previously the former Chair of The Tax Institute’s National SME Sub-Committee, as well as being a former Victorian State Councillor. Dr Pizzacalla was appointed to the Board in January 2015 and was reappointed for a further three year term commencing 1 January 2018. Mrs Wolff has over 23 years’ experience as a qualified tax professional with over 13 years’ experience in senior tax roles within the mining industry. She is currently the Head of Tax for Rio Tinto responsible for all tax matters relevant to Rio Tinto in Australia and the broader region. Mrs Wolff is a Chartered Tax Advisor and Fellow of Chartered Accountants Australia and New Zealand. Mrs Wolff has been extensively involved in tax policy development in her roles on the Tax Committees for the Business Council of Australia and Minerals Council of Australia, the Executive Committee of the Corporate Taxpayers Association, as well as through consultation directly with the Australian Treasury. Mrs Wolff was appointed to the Board in May 2015. Mr Yaxley has over 30 years corporate tax experience including 20 years as a tax partner with KPMG Perth office. He is currently a Senior Partner at KPMG. He provides tax advice to a wide range of international and Australian mining, oil and gas, mining services, property and agriculture clients on structuring inbound and outbound investments, financing, joint ventures and mergers and divestments. Mr Yaxley is a Chartered Tax Advisor and Fellow of the Institute of Chartered Accountants in Australia. 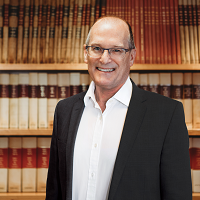 Craig has been extensively involved in mining industry tax issues and policy developments in his previous role as Chairman of the Tax Committee for the Association of Mining and Exploration Companies Inc.
Mr Yaxley is also Treasurer and Director of Black Swan State Theatre Company. Mr Yaxley was appointed to the Board in January 2015 and was reappointed for a further three year term commencing 1 January 2018. Mr Jordan was previously Chair of KPMG New South Wales and Partner in Charge of the New South Wales Tax and Legal Division of KPMG. He is the former Chair of the New Tax System Advisory Board and was also the State Chair of the New South Wales Division of the Taxation Institute of Australia. He was appointed by the NSW Government to the Games Advisory Committee of the Sydney 2009 World Masters Games. Until his appointment as Commissioner of Taxation in January 2013, Mr Jordan was a member of the Sydney Children’s Hospital Foundation Board, the Board of the Bell Shakespeare Company, a member of the Audit Risk Committee of the Art Gallery of NSW and Chair of the Committee for Sydney. Mr Jordan has been a member of the Board since its inception in September 2000. He was Deputy Chair from January 2005, was appointed to the position of Chair in June 2011 and retired from this position in December 2012 following his appointment as Commissioner of Taxation. Mr Jordan has been an ex officio member of the Board since January 2013. Mr Gaetjens was appointed Secretary to the Treasury with effect from 1 August 2018. Prior to his appointment as Treasury Secretary, Mr Gaetjens was Chief of Staff to Treasurer the Hon Scott Morrison MP. Mr Gaetjens has more than 40 years’ experience in Commonwealth and State public sectors. He began as an Assistant Research Officer in the Bureau of Transport Economics in 1977 and progressed through the Department of Transport in its various incarnations working on land transport, aviation, telecommunications and government business enterprise reforms. Mr Gaetjens was then seconded to the Department of Prime Minister and Cabinet before becoming a Senior Adviser in the Infrastructure Branch in 1993. During this time his principal responsibilities included electricity reform including the creation of the National Electricity Market. In 1994 he was the Parliamentary Liaison Officer in the Australian Senate, assisting the Manager of Government Business programming legislation in that chamber. Mr Gaetjens joined the South Australian Department of Treasury and Finance as Assistant Under Treasurer (State Enterprises) in 1995. He was charged with shaping a microeconomic reform agenda, including improving the governance and performance of State utilities. As Acting Deputy Under Treasurer in 1996, he managed the 1996-97 State Budget and oversighted three branches as well as playing a key role in structurally separating the State’s electricity utility. Between 1997 and 2007, Mr Gaetjens was Chief of Staff to Treasurer the Hon Peter Costello MP, including a period in a dedicated Tax Unit to oversee the introduction and legislative passage of A New Tax System, in which the GST and other tax reforms were implemented. Mr Gaetjens commenced 2008 as Chief Adviser, Competition and Consumer Policy Division in the Treasury. His focus was on competition policy and infrastructure issues, including membership of a cross-Government committee of officials on the National Broadband Network and supporting the Treasury Secretary as a member of the Broadband Panel of Experts. In August 2008, he commenced an overseas posting as the inaugural Director of the Asia-Pacific Economic Cooperation (APEC) Policy Support Unit in Singapore. The Unit was established to provide the APEC Secretariat and member economies with policy and research capability to further champion free and open trade and investment as well as the promotion and acceleration of regional economic integration. After returning to Australia late in 2010, Mr Gaetjens returned to the Treasury in February 2011 as Secretary of the GST Distribution Review. In August 2011, Mr Gaetjens was appointed to the position of Secretary of the New South Wales Treasury after an international search exercise and a merit selection process. While there, Mr Gaetjens was also a member of the advisory board of the NSW Commission of Audit (Schott Review), Secretaries Board, Chair of NSW Treasury Corporation and a board member of Infrastructure NSW. Mr Gaetjens holds a Graduate Diploma in Accounting from the University of Canberra and a Bachelor of Arts (Honours) from Flinders University. Mr Quiggin is the First Parliamentary Counsel of the Office of Parliamentary Counsel (OPC), which is responsible for drafting all principal legislation, all regulations and a range of legislative instruments for the Australian Government, including taxation legislation. OPC is also responsible for the publication of Commonwealth legislation through the Federal Register of Legislation. Mr Quiggin’s initial 7 year appointment as First Parliamentary Counsel started on 13 May 2004. He has since been reappointed twice with his most recent reappointment being for a further 5 years, commencing on 14 May 2018. He has been a drafter with the Office of Parliamentary Counsel for over 25 years and has drafted legislation covering a wide range of topics including taxation, native title and immigration. Prior to working at OPC, Mr Quiggin worked for a number of years with the Tax Office and the Administrative Appeals Tribunal. Mr Quiggin has been an ex officio member of the Board since January 2004.